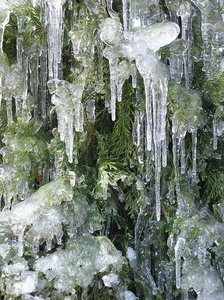 As we recently reported on our Boston Personal Injury Attorney Blog, icy road conditions are causing a plethora of car accidents in Massachusetts. Slick, snowy and icy roadways are among the top causes of a number of traffic accidents thus far is 2012. These types of accidents are in fact preventable with the proper safe winter driving habits. According to ABC5, a bridge expansion joint problem on Interstate 290 in Worcester was the scene of recent car accidents and a number of flattened tires. According to Massachusetts State Police, the area’s cold temps caused the expansion joint on the Interstate, near exit 20, to dislodge and to protrude from the ground. Shortly after, a tractor-trailer crashed into another vehicle in addition to a number of flattened tires. Our Boston car accident attorneys understand that the latest reports concluded that nearly 10 vehicles received flat tires after driving over the expansion joint. Reportedly, officials with the Massachusetts Department of Transportation (MassDOT) have been out at the scene and have made the appropriate repairs to that portion of the roadway. All vehicles have been either fixed or removed from the Interstate and traffic is flowing steady. But this brings up an important issue that we’ve been talking about recently: the importance of safe winter driving. Our roadways are dangerous through the winter season and short and simple road trips can turn deadly without the proper driving techniques. -Make sure that you clean the snow and the ice from your vehicle’s lights and windows before driving. You should also clear it off of the roof and the hood for maximum safety. -You never want to tailgate. You should always leave enough room between you and the vehicle in front of you to stop safely. -Be cautious of the current driving conditions. Remember that the posted speed limits are for driving on dry pavement. Slow down when snow or ice plague the roadway. -Curb all distractions to maximize your attention and ability to react to a road hazard. -Know the current road conditions. You can call 511 from your cell phone to retrieve this information. If calling from a land-line phone, call (617) 986-5511 for Metro Boston info, (508) 499-5511 for Central Massachusetts info and (413) 754-5511 for Western Massachusetts info. -Be easy on your brakes. You should brake early and brake correctly because it takes more time and distance to stop safely on slick roads. -Remember that bridge decks freeze first. These roadways have a different exposure to the air and are more vulnerable to ice than ground-level roads. Conditions on bridges are much more dangerous in freezing temps. -Be cautious on exit ramps. These areas oftentimes receive less anti-icing materials than other road area and can oftentimes be extremely slippery. -Avoid using the cruise control. -Look farther ahead into traffic than you normally do to help you to see upcoming roadway dangers before it’s too late. -Allow maintenance vehicles and snow plows with plenty of room. It’s recommended that you stay at least 200 feet behind them and don’t ever pass on the right. -Wear your seat belt to help reduce the risks of injury or death in the event of an accident. If you or someone in your family has been injured in a car accident in the Greater Boston Area or elsewhere throughout Massachusetts, contact Boston Injury Attorney Jeffrey S. Glassman. Our firm offers free and confidential appointments to discuss your rights to accident victims. Call 877-617-5333.